David Winston, RH (AHG) is an herbalist and ethnobotanist with 41 years of training in Cherokee, Chinese and Western herbal traditions. He has had a clinical practice for over 30 years and is a herbal consultant to physicians throughout the USA and Canada. President of Herbalist & Alchemist, Inc. an herbal manufacturing company, he is also founder/director of David Winston's Center for Herbal Studies, which features his highly respected Two-Year Clinical Herbalist Training Program. He is an internationally known lecturer and teaches frequently at medical schools, symposia and herb conferences.David is the co-author of Winston & Kuhn's Herbal Therapies and Supplements: A Scientific and Traditional Approach, 2nd ed., Wolters Kluwer, 2008, and Adaptogens: Herbs for Strength, Stamina, and Stress Relief, Healing Arts, 2007, he is the author of Saw Palmetto for Men & Women, Storey, 1999, Herbal Therapeutics, Specific Indications For Herbs and Herbal Formulas, (new edition, 2009), and a contributing author to American Herbalism, published in 1992 by Crossings Press. In addition, he is a founding/professional member of the American Herbalist Guild, and he has served four terms on the Board of Directors. Speaker: David Winston, RH(AHG). Research shows that the orthodox treatment of depression ..
Speaker: David Winston, RH(AHG). This lecture proposes an updated evaluation and treatment..
Speaker: David Winston, RH(AHG). This presentation addresses underlying causes and botanic..
Speaker: David Winston. Insulin resistance, obesity and metabolic syndrome (MetS) have been lin..
Speaker: David Winston. 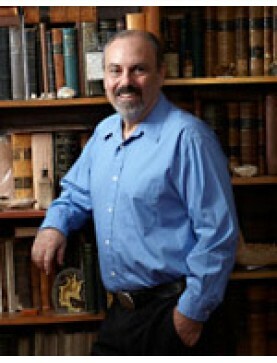 We often turn to TCM or Ayurveda to add the essential concepts of..
Speaker: David Winston. The word nootropic describes substances that enhance cognitive function..
Speaker: David Winston. In all the world’s great herbal traditions, the use of single herbs (si..
Speaker: David Winston. Alchemy is the process of taking something physical and liberating its ..
Speaker: David Winston. What used to be called adult-onset diabetes (Type 2 Diabetes) is now co..
Speaker: David Winston. Herbs can be used not only as physical medicines, but ritual and s..
Speaker: David Winston. MRSA and other antibiotic resistant infections have become a major heal..
Speaker: David Winston. New pharmaceutical treatments for hepatitis C are very effective, but t..
Panelists: Jerry Cott, Jason Miller and David Winston. While modern medicine puts great store in dou..
Speaker: David Winston. Begins with basic recommendations for dietary, lifestyle and herbal th..
Speaker: David Winston. The incidence of autism spectrum disorders (ASD) has increased dramatic..
Speaker: David Winston. This lecture proposes an updated evaluation and treatment program for m..
Speaker: David Winston. Our reliance in the West on an ever-dwindling materia medica has result..
Speaker: David Winston. While herbs are not as powerful as opiates and other pharmaceutical med..
Speaker: David Winston. Mens health is often ignored and men often ignore their health. In this clas..
Speaker: David Winston. This potentially life threatening disease costs billions of dollars in ..
Speaker: David Winston. Research has clearly shown over the past thirty years that poor quality..
Speaker: David Winston. The history and current understanding of tick borne diseases such as Ly..
Speaker: David Winston. Nervines are nerve tonics; calming herbs that are mildly relaxing witho..
Speaker: David Winston. Continued from Part 1, catalog number 14SW10. ..
Speaker: David Winston. Digestion, absorption and elimination are truly the foundation of health. Th..
Speaker: David Winston. Causes and conventional treatments are discussed, followed by an exhaustive ..
Speaker: David Winston. Discussion of the underlying causes of depression and anxiety and how t..
Speaker: David Winston. Begins with a discussion of the allopathic treatments for back pain. An..
Speaker: David Winston. A broad discussion of useful herbs in autoimmune diseases. Immunomodulators:..
Speaker: David Winston. There are many effective herbal medicines that are still frequently used in ..
Speaker: David Winston. Includes a discussion of the usefulness of Tamiflu and other medication..
Speaker: David Winston. Herbs used as ointments and poultices, in baths, neti pots or gargles c..
Speaker: David Winston. Recent research has confirmed much of what we know about how adaptogens..
Speaker: David Winston. Tick Borne Diseases..
Speaker: David Winston. Natural Approaches to Hepatitis B & C..
Speaker: David Winston. Discusses the ritual and ceremonial use of plants from around the world..
Speaker: David Winston. Discusses the pros and cons of the western biomedical approach to back ..
Speaker: David Winston. Herbs and Supplements for Treating Kidney Stones..
Speaker: David Winston. Continued from Part 1. Herb-Drug Interactions & Herb Toxicity, Pt 2..
Speaker: David Winston. Herb-Drug Interactions & Herb Toxicity, Pt 1. Continued in Part 2. ..
Speaker: David Winston. Herbs for Healthy Aging..
Speaker: David Winston. Unusual Uses for Common Herbs..
Speaker: David Winston. How adaptogens work to normalize the body and restore health. Includes speci..
Speaker: David Winston. By stimulating the major organs of elimination, alterative herbs create an i..
Speaker: David Winston. Digestion and absorption are the foundation of health. What you eat is vital..
Speaker: David Winston. Much of the information about adaptogenic herbs has come from company market..
Speaker: David Winston. Discussion of restless leg syndrome, night terrors, menopausal insomnia..
Speaker: David Winston. Therapies for heavy metal toxicity, allergens, PCBs, radon and other ha..
Speaker: David Winston. Treatment options for babesiosis, ehrlichiosis, Lyme disease and others..
Speaker: David Winston. Men's health is often ignored and men often ignore their health. Discus..
Speaker: David Winston. A detailed description of botanicals affecting the immune system: immun..
Speaker: David Winston. Explore the ceremonial use of herbs in Cherokee and other indigenous cu..
Speaker: David Winston. Plants, water, fire and air: a Cherokee view of the world includes stories t..
Speaker: David Winston. Discussion includes immune amphoterics, alteratives, anti-inflammatories, an..
Speaker: David Winston. A discussion of the way adaptogens work to normalize the body and restore he..
Speaker: David Winston. The Cherokee concept of Duyukta (Harmony and Balance) can teach us a great d..
Speaker: David Winston. A large part of this lecture deals with the risks and possible benefits of s..
Speaker: David Winston. Myths, facts and theory are examined in this presentation. Types ..
Panelists: Paul Bergner, Deborah Brammer, ND, David Hoffmann and David Wins..
Speaker: David Winston. This lecture covers a wide range of therapeutic agents. Spec..
Panelists: Kerry Bone, Simon Mills, David Winston and Aviva Romm. Underlying causes of sleep disorde..
Speaker: David Winston. A continuing from Part 1, this presentation discusses models for ..
Speaker: David Winston. A presentation of models for immune function and herbal therapies..
Speaker: David Winston. Unique uses for mullein, nettle, echinacea, saw palmetto, St. John's wo..
Speaker: David Winston. A comparison of liver remedies based on Ellinwood's classifications. &n..
Speaker: David Winston. Mushrooms have provided powerful medicine for over 2000 years. Di..
Speaker: David Winston. The healing tradition of the Ani-yuwya people is over 5000 years old an..
Speaker: David Winston. The inclusion of unused but effective indigenous and introduced species..
Speaker: David Winston. Anti-viral herbs for influenza including herbs for children and botanic..
Panel: David Winston and Donald Yance. Two experts on the theory and practice of the eclectics ..
Panel: David Winston and Donald Yance. Two of the leading experts in eclectic medical practice ..